The only thing more fun than a day in the pool is a day in the pool climbing, playing and bouncing on these fantastic inflatable floating play structures. 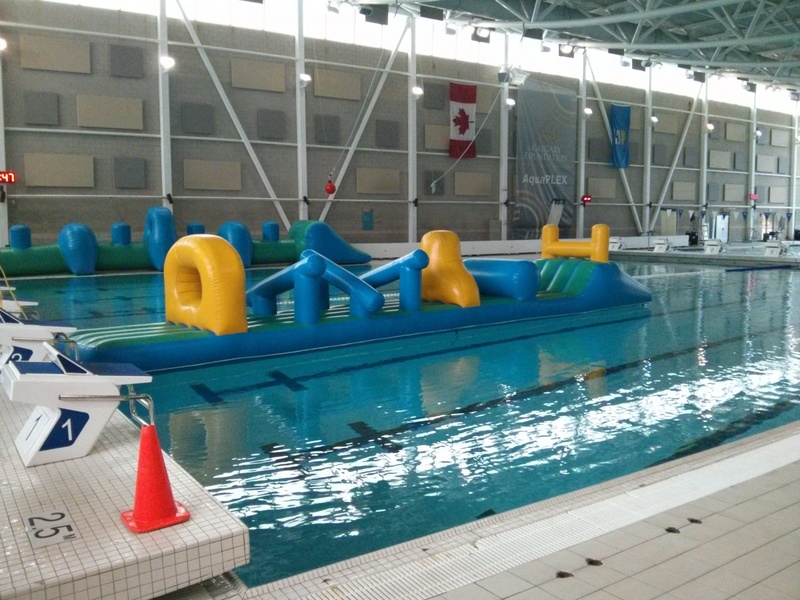 Make a huge splash with your next party or event with Repsol Sport Centre's Floatables! Please contact sportservices@repsolsport.com for all Floatable booking inquiries. Please note we require a minimum of 4 weeks for all Floatable booking requests. A safe entry pad is followed by a more challenging tubular design, with interesting obstacles to maneuver along and over. Must be 7+ years of age. Must be 8+ years of age. An interesting collection of obstacles for climbing or crawling through which finishes with a slide. This is a very popular model and is built on a pad construction. For your safety and enjoyment! Please contact sportservices@repsolsport.com for all Floatable booking inquiries. Please note we require a minimum of 4 weeks for all Floatable booking requests.